Paul Wachtel is a Professor of Economics and the Academic Director of the B.S. in Business and Political Economy Program, at New York University Stern School of Business. He teaches courses in monetary policy, banking and central banking, and global macroeconomics. Professor Wachtel has been with NYU Stern since 1972. He has served as the chairperson of the Economics Department and as Vice Dean for Program Development at Stern and was also the chairperson of the University Faculty Council. His primary areas of research include monetary policy, central banking, and financial sector reform in economies in transition. He is the author of several books, including Banking In Transition Economies: Developing Market Oriented Banking Sectors in Europe (Edward Elgar, 1998). His writing has been published in numerous journals, including, most recently, Economic Inquiry , Journal of Banking and Finance, Comparative Economic Studies and Journal of Money Credit and Banking . He is the co-editor of Comparative Economic Studies and the program chair for the Dubrovnik Economic Conferences. He has been a research associate at the National Bureau of Economic Research, a senior economic advisor to the East West Institute, and a consultant to the Bank of Israel, the IMF and the World Bank. 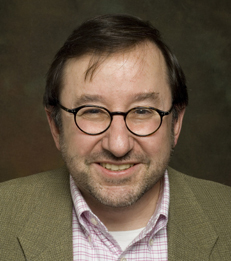 Professor Wachtel received his bachelor of arts from Queens College, his master of arts in economics from the University of Rochester, and his doctor of philosophy from the University of Rochester.